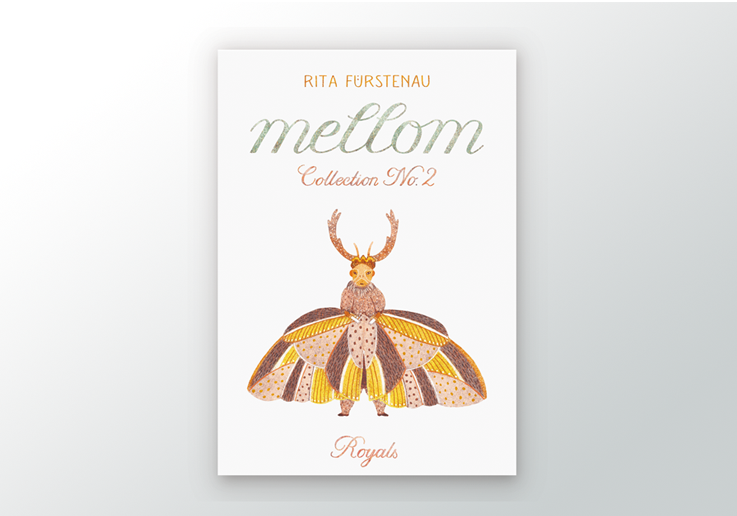 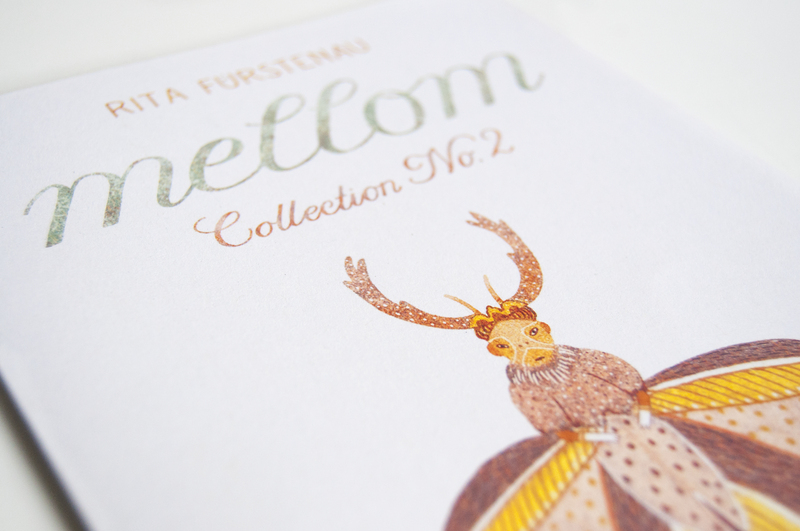 Portfolio von Rita Fürstenau, Illustration und Zeichnung. 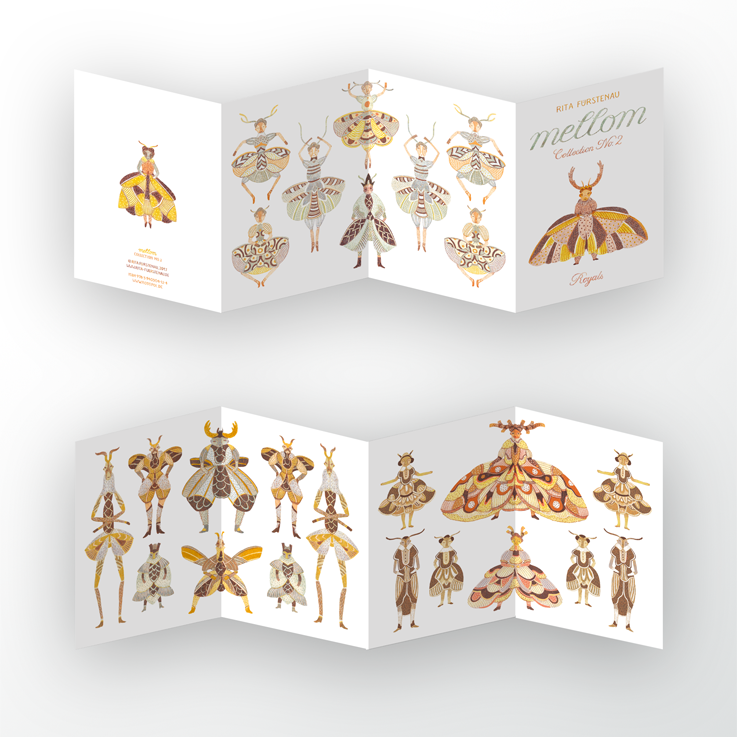 The Mellom Collections assamble small scenes of natural curiosities. 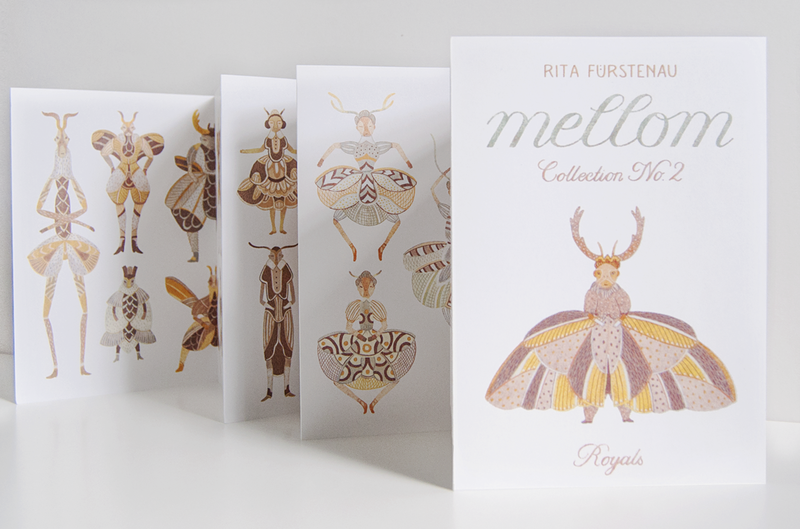 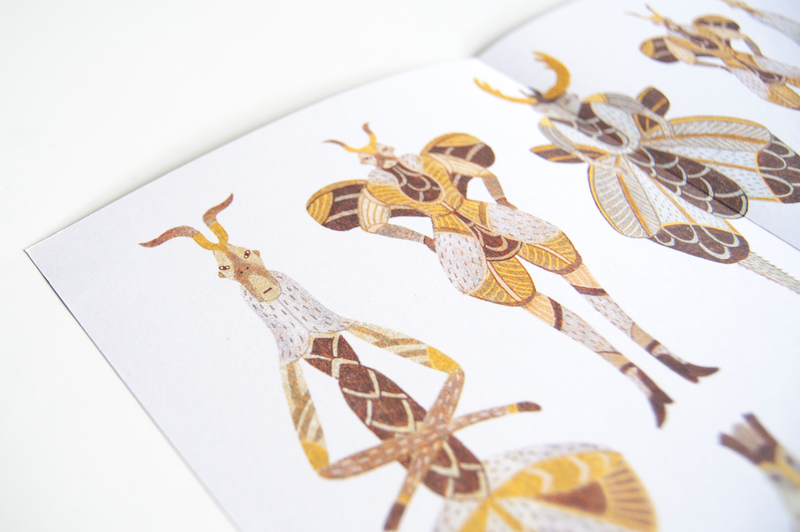 The second issue Royals gives a peek into the impressively outfitted world of highborn moths, serving beetles, and balletic butterflies.